If you’re looking to spend a vacation in the Bahamas, spend it on the breathtaking flats that surround this island. 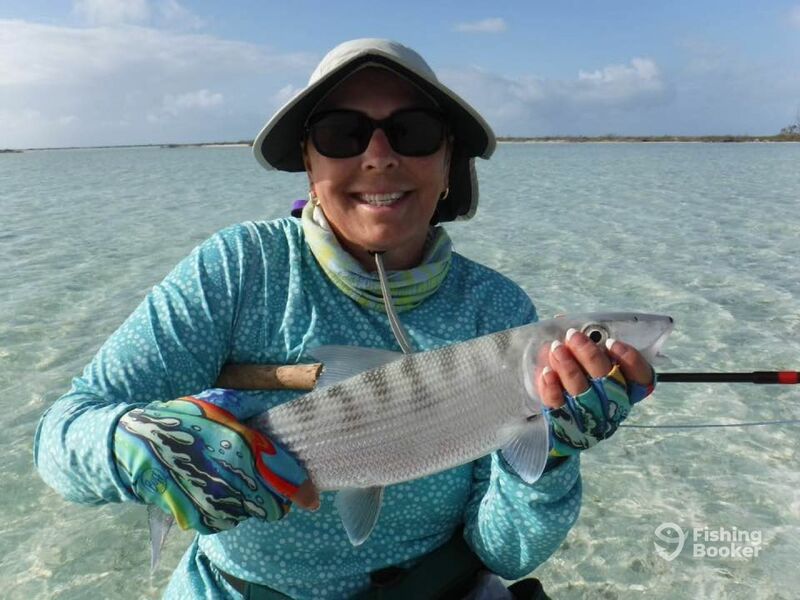 Bonefish Paradise Fishing Services isn’t named like it is for no reason and they’ll show you just why - join them in stalking the flats for the gorgeous fish that live there. Climb aboard the 17’ flats boat manufactured by Andros, perfectly suitable for this type of terrain. She has been recently restored (in 2015), so everything is in tip-top shape. She’s powered by a solid 85 HP Yamaha outboard engine. On board you can find Captain Dwayne Knowles, a captain with over 26 years of experience guiding customers in the waters of the Bahamas. 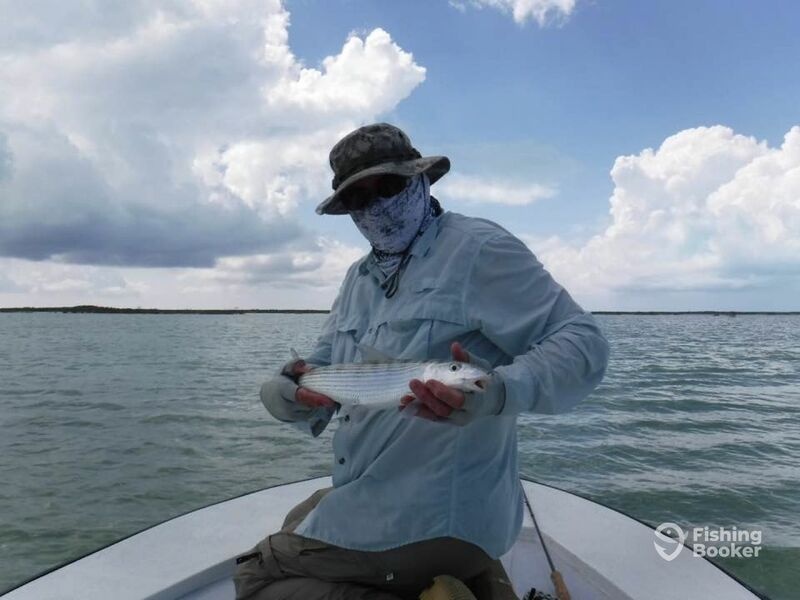 The flats are home to many exciting species you can target, among which are the world famous Tarpon, Barracuda, Jack Crevalle, as well as the Permit, Lemon and Blacktip Sharks, and Bonefish. 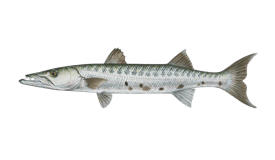 Fishing techniques that are available are spinning (for Barracuda) and fly fishing - Capt. Dwayne is an expert at those. Customers should bring their own spinning gear and flyfishing equipment is available for an extra charge. 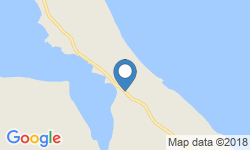 Clients are recommended to stay at Greenwich Creek Lodge, though any accommodation close is fine too. 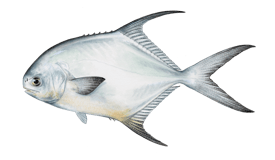 The charter has a strict catch and release policy in please, though clients can keep Snapper if they intend to eat it afterward. Children are welcome on board but there is a 9 years old minimum age policy. This all-inclusive trip makes booking a vacation as easy as pie. Guides, 3 meals, accommodation, snacks, drinks, and transfer from the airport is provided on this trip. 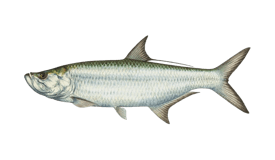 You can expect to target Tarpon, Bonefish, Jack Crevalle, various Sharks, Barracuda, and Permit. 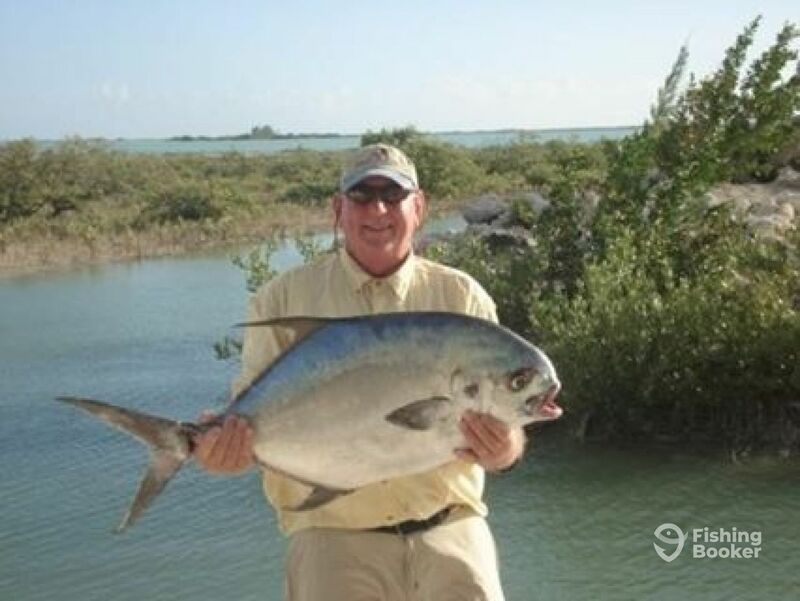 A full day of fishing in the flats of the Bahamas is a real treat for any angler. 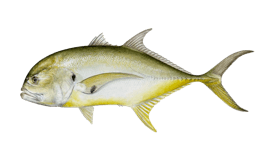 You can expect to target Tarpon, Permit, Bonefish, Jack Crevalle, and other species on this trip. Clients should bring adequate clothing, polarized sunglasses, sunscreen, and a waterproof camera. If you're itching for some morning fishing, this might scratch that. 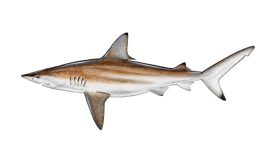 You'll be fishing the inshore and ocean flats of the area. 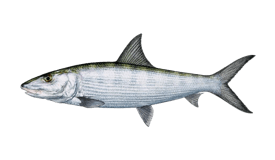 The target species are Bonefish, Tarpon, Permit, Barracuda, Jack Crevalle, and Sharks. Customers are advised to bring sunscreen, polarized sunglasses, and adequate clothing. 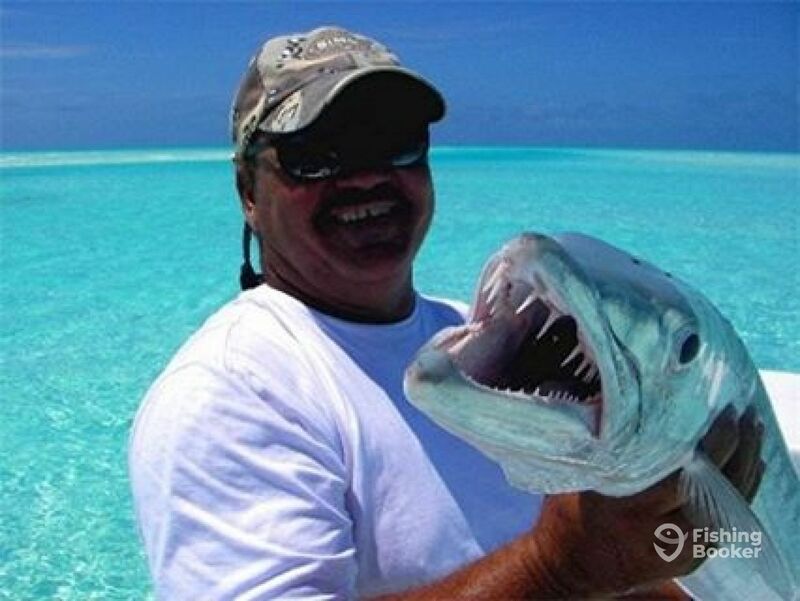 This trip will take you fishing on the inshore and ocean flats of the Bahamas. 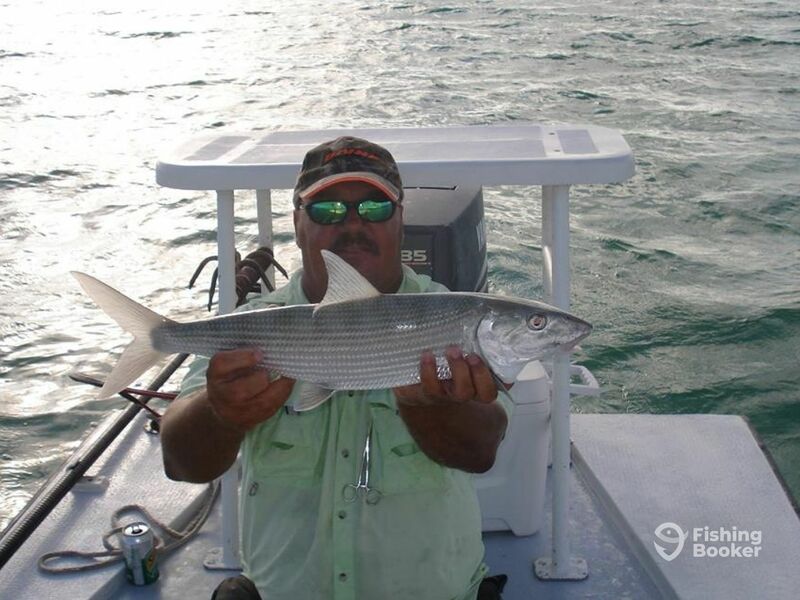 The fish targeted are Bonefish, Tarpon, Sharks, Barracuda, Permit, and others. Customers are recommended to bring polarized sunglasses, adequate clothing, and sunscreen. Andros (Flats boat) построена в 1980, обновлена в 2015. Мотор – 85HP Yahama мотор. Dwayne is an Island born Bahamian, raised in Deadman's Cay, Long Island, Bahamas. 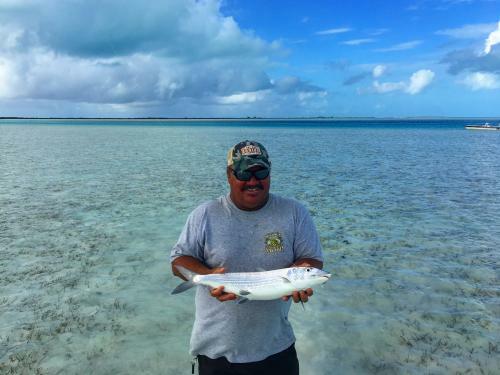 His father was the first guide fishing the flats in Deadman's Cay and that tradition is continued. 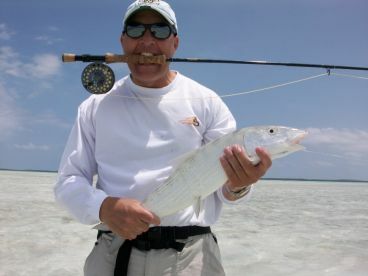 He is recognized as one of the best specialists in Bonefishing, as well as a great teacher. 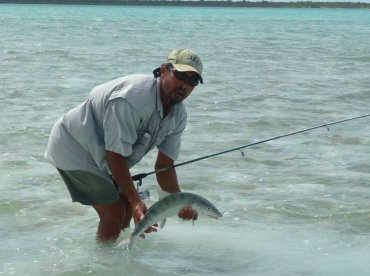 Dwane is patient and experienced, with vast knowledge of where to stalk Bonefish on the flats of the Deadman's Cay Long Island and find the exclusive "Grey Ghosts". 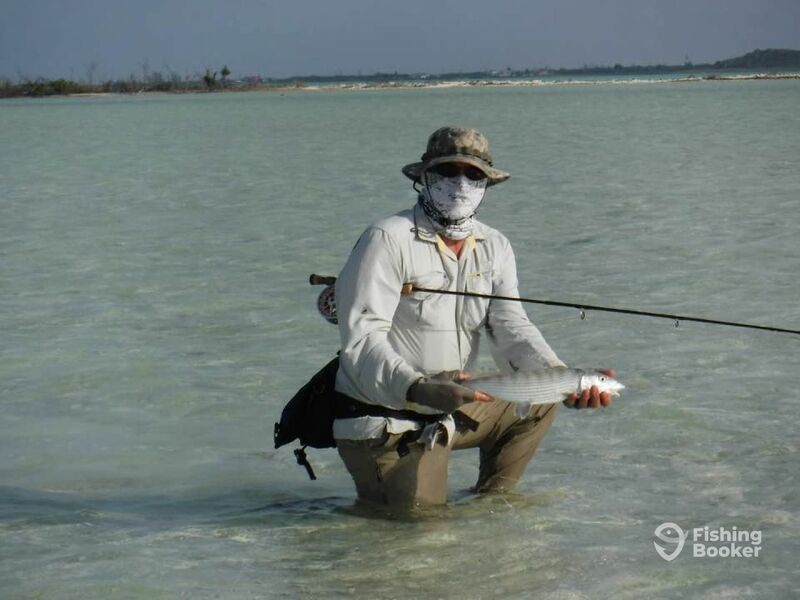 We enjoyed our trip with Dwayne.He brought us from one spot to another to find bonefish. He can see fish from a long distance. And we saw and fished on a lot of pools. 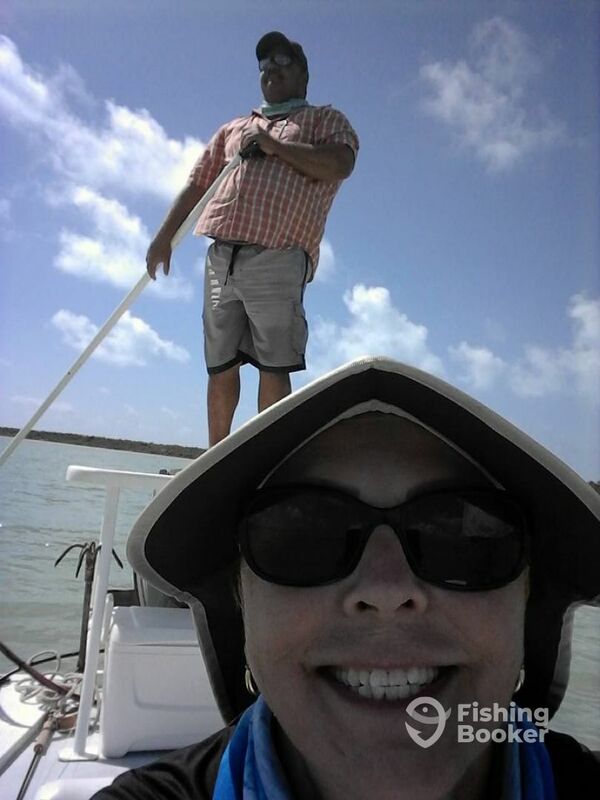 Dwayne ensured that we did not walk miles and miles on the flats to return to the boat…he really takes good care of his clients. The scenery on these flats are out of this world! This was the second year fishing with Dwayne. Had a fun day on the flats with Dwayne. Definitely recommend to all! Had a great day with Capt. Dwayne! Beautiful place, great Company, I would recommend! Thank You Pete, glad you enjoyed your day. 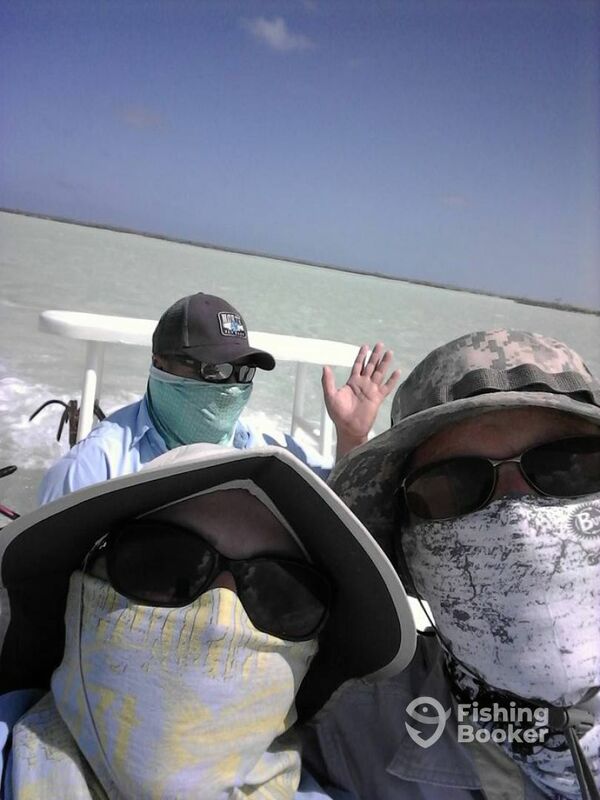 My husband and I had the pleasure of spending a week bonefishing with Captain Dwayne Knowles the week of Feb 25, 2017. Dwayne is extremely knowledgeable about the flats around Long Island and worked very hard to make this a successful fishing trip. He did his best to put us on the fish in spite of some windy and cloudy weather. 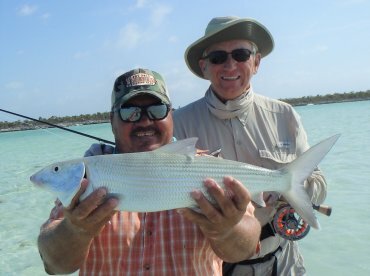 Dwayne knows his craft and we were able to catch enough bonefish to keep us smiling and happy. 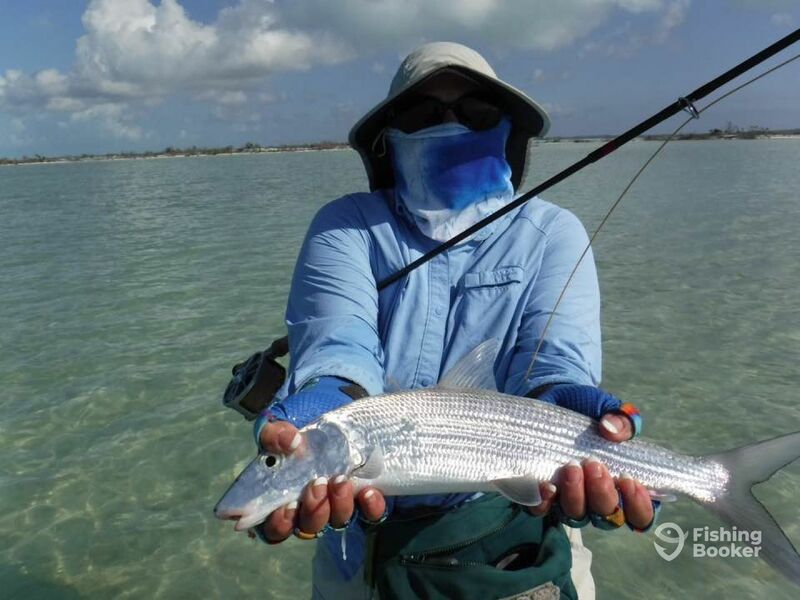 I would recommend Dwayne to anyone wanting to catch bonefish on Long Island!! Thanks, Dwayne!! Thank You Laurie ,was a pleasure guiding your husband and yourself..
5 days bonefishing with Dwayne Knowles and my 15 year old grandson. This was the best guide I could have on my grandsons first bonefishing trip. Dwayne was very patient and made the experience unforgettable. He was very instructive, knowledgeable of where the fish were, and pleasant. My grandson caught 13 bonefish, 3 Spanish Mackerel, 5 Blue Runners on a fly rod. 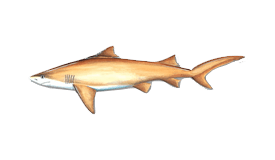 Then on a spinning rod he caught 2 lemon sharks and one black tip shark. Dwayne made it all happen. I would highly recommend him as your guide!